Grew up… as a clone in San Francisco, California, before going to UC Berkeley for undergrad. Living… in Minneapolis, Minnesota. However, Cosima travels often to visit her fellow clones in Toronto, Canada. Her apartment is an eclectic combination of gothic décor with random brightly colored objects that represent her personality. Her computer, for example, is decorated with a bright DNA strand decal. Profession… PhD candidate in Experimental Evolutionary Developmental Biology at the University of Minnesota. After Katja Obinger, a sick clone from Germany, enters their lives, Cosima spends an inordinate amount of time trying to figure out what led to Katja’s illness. Inherently intellectually curious, Cosima views her own DNA as a puzzle waiting to be unlocked. Interests… discovering the unknown, smoking weed, and flirting with women. While Cosima’s time is taken over by clone problems, she still tries to have fun and live life to its fullest. Challenge… surviving. 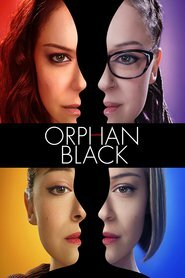 After Beth Childs, another clone, finds her and Alison Hendrix through a facial recognition program, Cosima’s whole life is turned upside down. Katja Obinger warns them that there is an unknown force trying to kill the clones, and that they are predisposed to a deadly illness. Because Cosima is a trained scientist, she has been charged with discovering the origin of the illness, hoping to prevent any more clones from dying. Personality… loyal, intelligent, passionate, and humble. Even though Cosima is in the process of earning a PhD, she is not a lofty intellectual. She is humble, down-to-earth, and incredibly charming. She gets excited about exploring the unknown. When she meets the other clones, she is willing to do anything for them and those she loves – regardless of personal cost. Cosima Niehaus's popularity ranking on CharacTour is #326 out of 5,000+ characters. See our top-ranked characters and read their profiles.